The second part of a three-part series dealing with the subject of Christianity, Islam, and Prophecy - "From Mecca to Rome"
Announcer: This presentation is brought to you by the friends of the Amazing Facts Ministry. Doug Batchelor: Many people believe that Muhammed is inspiring. And you might say, "But there's many things that he said that are good and true." That's true of every religion. Announcer: For over 40 years, Amazing Facts has been dedicated to sharing God's Word through media. This program features highlights from some of our best television broadcasts. We invite you to sit back and enjoy this edition of "Amazing Facts Presents." 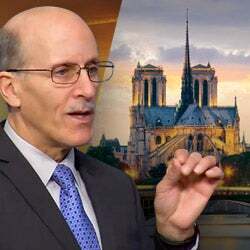 Doug: We are continuing a series that will probably just have about three parts to it, dealing with the subject of Islam and Christianity in prophecy. Last week, we talked about sibling rivalry and today we're going to be talking about From Mecca To Rome. We explain these two great religions of the world, largest religions of the world Christianity, number one, about 2.2 billion. Islam number two, 1.7 billion and there's varying numbers that have been reported, but that's I'm picking a medium number. It's anywhere between 1.5 and 1.8 billion Muslims in the world. While it is true most Arabs who are the people that descended from Ishmael are Muslims, not all Arabs are Muslims. There are some Arabs that have been Christians for 2,000 years. There's Christianity when it spread through Egypt and right now many of the Christians in Egypt are being persecuted by the Muslims there. And there are Arab Jews, believe it or not and I met them before. And so, I just--and then also keep in mind that of the 1.7 billion Muslims in the world, most are not Arab, most of them are living in Pakistan, and north Africa, and mostly Indonesia. So, who are the Arabs? If you go back to the Bible here if you look, for instance, in Genesis 25, "Abraham gave all that he had to Isaac," the son of promise. "But Abraham gave gifts to the sons of the concubines," meaning Hagar and Keturah, that he had; while he was still living." So, he separated his substance* while he was alive like that story of the prodigal son. And he sent them away from Isaac, so there'd be no confusion about what his plan, was to the country of the east. They were sent to an area that is southeast of Israel, better known as Arabia. You can read in Genesis 25:18, speaking of the people of Ishmael, "They dwelt from Havilah as far as Shur, which is east of Egypt as you go toward Assyria." I think most of you in your minds have a little bit of geography. Can you see the Middle East? You know where Egypt is there by the Nile on the shores of the Mediterranean? You go east of Egypt, you end up in Saudi Arabia. If you go through Saudi Arabia, almost no one went to Assyria that way, you'd end up in Assyria. This is the territory where the Arabs, often called the Bedouins, found their home. Where did Moses go when he was looking for refuge? He fled to that same territory. You can read in Exodus 2, verse 15, "When Pharaoh heard of this matter, he sought to kill Moses. But Moses fled from the face of Pharaoh and dwelt in the land of Midian; and he sat down by a well." The people of Midian were--they're the descendants of Keturah. They intermarried because they were all sent to the same place with the children of Ishmael and so when we're talking about Arabs today, you're talking about the people who were the descendants of Abraham's third wife. You got Sarah, Hagar, Keturah, Midian was one of those sons. They are called the Midianites and sometimes they're also called the Ishmaelites in the same phrase. You remember last week, Joseph was sold to the Midianites and it also calls them the Ishmaelites because they intermarried, and Esau married Ishmael's daughter. So, there's a lot of kind of family relationships happening there. Those people grew into a great people, all related to Abraham, better known as the people of the east at that time. Here you can look in 2 Chronicles 9:14, "Besides what the traveling merchants and traders brought. All the kings of Arabia brought gifts to Solomon, silver and gold," they were very rich. Queen of Sheba came down through the Arabian peninsula, brought treasures and there is--it was a different climate then and they had a lot of natural resources. But you could also see there is war, not only in the time of Gideon, look at Nehemiah. Nehemiah 4:7, "This is what happened when Sanballat, Tobiah, the Arabs, the Ammonites, and the Ashdodites heard that the walls of Jerusalem were being restored and the gaps were beginning to be closed, they were very angry," because to the south of Jerusalem, the Arabs had sort of annexed some of that territory and now if Jerusalem was reestablished, they were going to lose it. And so, there was a confederacy of the Arabs that were fighting against Israel. Now, what was happening with the Arabs religiously? What I'm going to say, I don't want it to seem unkind, but a lot of the early Arabs were deep into moon worship. And I was reading something from history here and this is a book, a short history of the Arabs by Philip Hitti. He said, quote, "Throughout the entire peninsula, the antiquated paganism of the Arabians, which for the Bedouins centered chiefly on the worship of a moon god as is likely to be the case with a pastoral people in hot climates who find the coolness of the night their friend and the sun their enemy." So, it's natural for them to worship the moon because the sun was--they didn't worship the sun for crops. It was an enemy. But they had finally reached a point in the religion where it failed any longer to meet the spiritual demands of the people. This was preparing the way for a new religion. The pre-Islam pagan Arabs worshiped the moon god they called Allah. Now Allah's a generic term for god so that shouldn't shake you. By praying towards Mecca, Mecca was a holy sight even before Muhammed, several times a day, making the pilgrimage to Mecca, running around the temple of the moon god called the Kabah, kissing the black stone that supposedly fell from heaven. Later Muslims said it was given to Adam and later Abraham built a temple. "Killing an animal and sacrifice to the moon god, throwing stones at the devil, fasting for the month which begins and ends with the crescent moon." Ramadan is all built around the moon. "Giving alms to the poor, et cetera." And if you read the news recently, you know that modern-day Muslims practice many of these same rituals still today, but they can be traced all the way back to the time when it was involved in lunar worship. So, this was the state of things of what had happened to Ishmael's descendants, some of them converted to Christianity during the time of Christ. They had churches in Egypt. Some of them converted to Judaism in Alexandria. They were Arabs that accepted the Scriptures of the Jews. There was a great deal of Christian and Jewish influence among the Arabs because they lived in, they were neighbors in proximity. But then after 5:38 when the pope began to be a ruler, a political force, as well as a religion, and it seemed like idolatry had become institutionalized and the Muslims had no respect for that that--they were weren't Muslims yet, sorry. The Arabs had no respect for that because many of them did not believe in idolatry. They became very dissatisfied. It was in this environment that a man was born that we know today as Muhammed. He was born in 570, died June 8, 632 in Medina. He was born in Mecca. He's accepted by Muslims as the last of the prophets of God. Now, Muhammed was orphaned at an early age and he was raised under the care of his paternal uncle. Periodically he would seclude himself in a mountain cave for several nights of prayer. At age 25, Muhammed wed his wealthy employer who was 15 years older than him. She was 40, a merchant Khadija. This marriage was from the most part, happy and it was a monogamist marriage, and she helped him in many ways because she had some wealth. And 25 years later when she died, he ended up taking several wives, one of them as young as nine years old. And it was during this time that he kind of went from a prophet to a little bit of a politician. Most of his early visions were very peaceful. Later visions when he was fighting for power, there was a little more violence involved. Something, and this is from the book written by Ramon Bennett. I'm reading a lot in preparing for this. Islam Revealed, page 48, as a young child, Muhammed was nursed by a Bedouin woman by the name of Halimah and in his third and fourth year as a child, had numerous fits which made Halimah think he was demon possessed. Later at age 40, he reported being visited by Gabriel in a cave where he started to receive his first revelations from God three years later. Muhammed started preaching these revelations publicly proclaiming God is one and that complete surrender--by the way, that what the word "Islam" means connected with the word "Salome" or shalom, Salome is how you say it in Arabic that the only way acceptable to God and that he was the prophet of God similar to other Bible prophets. Early Muslim traditions records that when Muhammed was about to receive a revelation from Allah, he'd often fall down on the ground, his body would begin to jerk. His eyes would roll backward. He would perspire profusely, and they'd cover him with a blanket during such episodes. He'd come out of these visions and he'd say he had a message. And this is from the book, "The Islamic Invasion," page 71. Muhammed gained followers, a lot of followers who--he gained a few followers early and he met with hostility from the other Meccan tribes to escape persecution. He had left Mecca, gradually he built an army and he gained converts in Medina. He returned to Mecca with 10,000 soldiers and was met with little resistance, very little bloodshed. He basically took the city. It later became the center for the religion and that--the Bedouins were spread all over Saudi Arabia in the Middle East. They really didn't have a national religion. Muhammed became the natural one to sort of coalesce them all. Some of them leaned towards the Jews and so he said, you know, "I agree with the Old Testament." Some of them leaned towards the religion of the Christians said, "I agree with the teachings of Jesus." But the problem was he said, "You cannot trust their Scriptures." The original Scriptures of the Christians and the Jews were true, but they have been tampered with and you can't believe them anymore. And so, Islam teaches, not just what Muhammed said, they still teach today, "Yes, we agree with the Bible. We agree with the teachings of Jesus. But the Bibles that you have today cannot be trusted. There is no copy left of the Bible and the New Testament that really contains the original. It's all been corrupted so the only Scriptures that can be trusted today are the Qur'an." 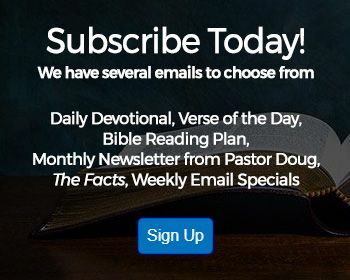 So, they kind of say, "Oh yes we agree," but they said, "We don't agree with your Scriptures if there's any conflict between your Scriptures and what we say." And so, it sort of--he was trying to find a religion that would bring them all together but not have them go to the Scriptures for their truth. And so, you'll find a lot of reference to the other religions in the Qur'an. Doug: One of the most common questions we get here at Amazing Facts is regarding the mysterious identity of this enigmatic character called the Antichrist. 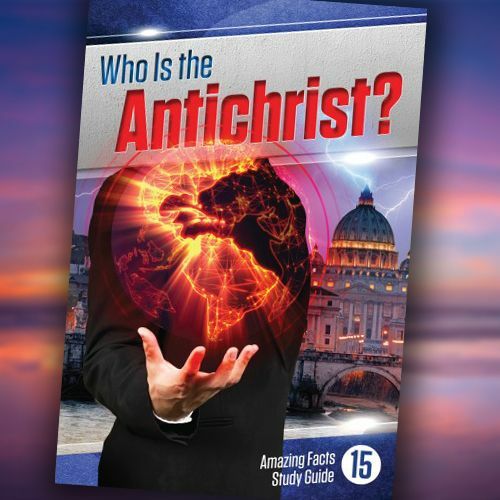 People around the world are wondering, who is the Antichrist? Is it a political party or is this some evil fiend that is the devil incarnate? Well, we have a study guide that will definitely help you understand this. You might even find it a little shocking. It's called "Who Is The Antichrist?" And you'll be amazed to learn the Antichrist is alive and in the world today. To get your free copy, go to amazingfacts.org or call the number on your screen and ask for offer number 125. And friends, when you receive this free resource, please read it and then share it with a friend. We want to get the Word out because God's message is our mission. Doug: So, who wrote the Qur'an? Most Muslims freely agree that Muhammed was probably illiterate. There's no indication in history that he wrote. And so about 19 years after he died, the religion continued to grow. There was some fight about who was to be his successor and that's where you get the difference between the Sunni and the Shia. Now, Sunni Muslims represent about 80% or 85% of the Muslims in the world. The Shia contests the lineage, and the power, and the authority, and there are some differences in their beliefs but they all came to believe the Qur'an would have most beliefs in common. They say the Qur'an is the Word of God around which their religion is based. The Qur'an is 20% smaller than the New Testament, as far as the number of words. There are a number of parallel passages between the Old Testament and the Qur'an. There are some places where the Qur'an actually quotes some of the teachings of Jesus. You'll find references to Abraham 70 times in the Qur'an. Moses name occurs 40 in 34 chapters. You've got references to David, Solomon, Saul, Elijah, Job. Jonah, though it's a small book in the Old Testament, figures prominently in the Qur'an and the fall of Adam is cited five times. That is a big difference. In the Qur'an they say the fall happened in a place called paradise that was not on earth and Adam and Eve were later consigned to earth after the fall. So, their creation account is different. You'll find some of the teachings like an eye for an eye talks about where Jesus said, "A house built upon the sand." So, it's easy to see that Muhammed was at least acquainted with some of the teachings of the Old and New Testament from listening because a lot of it is incorporated there. Doesn't go through stories like we do. They're just little soundbites, some are shorter, some are longer. And I don't know if you've read the Qur'an. I haven't read it all but I've read a lot of it. There's a lot of conflict between the Qur'an and the Bible. You cannot reconcile the religion of the Qur'an with Scripture. And I say this very gently because I know there's a lot of my friends in ministry and other Christians that are saying there's really no difference between Christians and Muslims, that we all come from Abraham and we all worship the same God. I respectfully disagree. I think that, you know, you don't--you could believe there are good people in many different churches but you don't compromise your convictions about, is it true? And so, let me just give you a little list here of what some of the differences are. You've got Qur'an and the Bible portray different gods. The Bible says salvation comes only through Jesus Christ. John 14:6 while the Qur'an says only through Islam and the obedience through Allah and to his prophet Muhammed can one be avoiding the blazing fire. That's from the Qur'an 385. The Qur'an denies Jesus's death and resurrection. That's pretty fundamental to Christian faith. They say that our Bible's been corrupted, it never happened. It was changed. The Jews didn't really crucify him, and you find that in the Qur'an 4:155 through 159. They say Allah just made it appear to the Jews as if Jesus was crucified. The Qur'an denies the Triune God Father, Son, and Holy Spirit. And, you know, you can understand their confusion on that. I've talked to some of my Muslim friends about this. I said, "You guys believe in many gods." They said, "No, we believe in one God." "Hear O Israel, the Lord our God is one." There's no one God, no question about that. But the word "one" biblically means united. It's not a numerical quantify. Our God, Father, Son, and spirit is united, he's one, not like all these--this pantheon of gods the Greeks had always fighting with each other. The Bible says we are saved by grace, that we can be saved through faith alone, not by works, lest any man should boast, of course, in Ephesians 2:8 and 9. The Qur'an states, and that's in 23:102 that in the judgment, God will kind of balance, he'll put your good deeds in one side of the balance, your bad deeds on the other and you need to have more good deeds than bad deeds and you'll make it. My dad sort of believed that, the Qur'an version, God was going to add everything up like that's--it's not based on how many good works we do that we're saved, amen? The Bible says to make disciples of all nations and do it with gentleness and respect. But for Muslims, there's a very different approach prescribed in the Qur'an. It says quote, "Fight and slay the pagans wherever you find them. Seize them, beleaguer them. Lie in wait for them in every stratagem of war. But if they repent and establish regular prayers and practice and regular charity, then open the way for them and I will instill terror into the hearts of the unbelievers. "Smite thee above the neck, smite their fingertips off of them." It's interesting that a few years ago, we would have thought when you read in the Bible about those who are beheaded for their faith in Jesus, that was just a metaphor. We thought that with the French Revolution and the guillotine beheading was pretty much gone as a means of execution and we've all seen that's been revived in pretty grizzly ways in some of these terrorist activities makes you wonder again. And I could go on. There's just so many differences that just there's really not time to cite them between the two religions. And so, the Bible and the Qur'an are very different books and the religions are very different. Is Allah and Jehovah, are they the same God? Now, you’ve got to be careful. This is a loaded question. Let me see if I can answer this carefully. You cannot deny that the Arabs and the Jews spring from the same ancestor of Abraham, that there are trappings and treats that are similar. I mentioned, you know, they practice circumcision. They say there's one God, and you can find similar roots but you cannot reconcile the picture of God that is worshiped by the Muslims with the picture of God that is worshiped by Bible Christians. For example, 1 John 2:22, "Who was a liar but he that denies that Jesus is the Christ?" Well, they deny that Jesus is the Christ. He is Antichrist. "Who denies the Father and the Son? Whoever denies the Son does not have the Father either; he who acknowledges the Son has the Father also." And you might say, "But there's many things that he said that are good and true." That's true of every religion. I find wonderful things in Hinduism. I love it when I go to India because I can find good vegetarian food. There's wonderful things in every religion. There's wonderful things in Buddhism. There are truths in Buddhism about peace. There are truths in all kinds of different religions, that doesn't mean they are the truth. Matter of fact, if you're the devil, the way that you deceive people is by mingling elements of truth that resonate with people and then you bring in the deception that's deadly and this is what I believe is the case. Does that mean they'll be no Buddhists in heaven or Muslims in heaven? Or--no, I think God is reaching out to hearts all over the world. And there are good people in many religions, and we got some nasty people in our religion so we're not talking about people, right? We're talking about, what is the truth? Revelation is dealing with the battle in the last days about what is the truth, amen, are we together on that? All right, I talked about the Qur'an a little bit, but I want to just give you an overview, and this is not an exhaustive list. I took a list of--it was much longer and shortened it. The word "Islam" means surrender or submission. Again, it comes from the word "Salome," Salome which is similar to peace. I've been in some countries where the way you say hello is that. And by the way, the way you say God, a Christian in Indonesia in church calls God Allah. So that's why I said it's a trick question. The word "Allah" just means God. So if you're in a Christian church in Indonesia, you will be praising and singing to Allah. Now, that might make you squirm a little bit, but that is their word for God. There's nothing wrong with that. The word "Muslim," you might wonder what the difference between Islam and Muslim? Muslim technically means anyone or anything that surrenders itself to God, which means by definition even a tree or an animal can be a Muslim in that it surrenders to the will of God. That's from their writings, not from mine. Studies show, I already mentioned that about 1.7 billion people in the world identify with Islam. There are five pillars of practice in Islam and here they are, A, declaration of faith in one God and that Muhammed is the prophet of God. Two, formal prayer five times a day. C, there's a poor tax that is due, 2.5%. They're getting discounted on our tithe, actually. Two point five percent of one's excess wealth is given to the needy once a year. Fasting during the daylight hours in the month of Ramadan. They fast all day and then they eat quite a bit after dark, which isn't that healthy, I think. Pilgrimage to Mecca at least once if you're physically and financially able to. And I don't know if you've ever heard about if you go to Mecca, there's a grand mosque there. They just did a bunch of renovation work. I don't know if you heard. They made two layers. So many people who were there, they're getting killed in the crush because there's so many Muslims, used to be a smaller group would come, they'd walk seven times around this simple cube. It's about 45 feet by 45 feet by 50 feet in the eastern corner of this cube. The cube has four sides going to the four corners of the globe. The eastern corner has a big silver plaque and in the plaque is the black stone and every Muslim wants to kiss that stone after you walk around it seven times counterclockwise, to kiss the stone and that will help absolve you of your sins. It sounds a little bit like, you know, idolatry and you kind of salvation by works in any event, but they had an accident a few years ago while they were building two layers. They couldn't get all the people around. They've had several crushes where people have been crushed trying to get to kiss teaching stone because millions of people have gone thousands of miles and thought, "Am I going to get close enough?" They're all fighting their way in, and I don't know if I'd want to kiss the stone after a thousands other people kissed it. And so, a crane fell a couple of years ago. They were building two or three layers so people could go around the cube like a cake and many layers and a crane fell on them, I think over a hundred of people were killed in Mecca from that terrible accident a few years ago. But so, it's the holy city there. Six articles of faith and this is the one God. I've mentioned this already, the six articles of faith are different from the five beliefs. One God, all of the prophets of God are true. The original Scriptures revealed to Moses, David and Jeremiah, you know what? Or to Jesus, the original Scriptures. Since we don't have any original Scriptures, you can't trust your Bibles so that's sort of a moot point. They believe in angels, the day of judgment hereafter, and destiny. They believe in the concept of vicarious atonement that Jesus died for the sins of humanity, but they believe you're responsible really for your works in the day of judgment but they don't look to Jesus for the forgiveness of their sins. So, they don't really have a redeemer in that religion, but what's going to save people is a relationship with Jesus. That's why I hope you're close to the Lord and while all these different voices are saying, "We've got the truth and we've got the Scriptures," you've got to know who only has the truth. Jesus said, "Thy Word is truth." Announcer: Did you know that Noah was present at the birth of Abraham? Okay, maybe he wasn't in the room, but he was alive and probably telling stories about his floating zoo. From the creation of the world to the last day events of revelation, biblehistory.com is a free resource where you can explore major Bible events and characters. 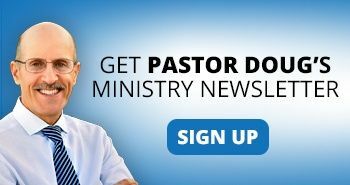 Enhance your knowledge of the Bible and draw closer to God's Word. Go deeper. Visit biblehistory.com. Announcer: Can't get enough Amazing Facts Bible study? You don't have to wait until next week to enjoy more truth-filled programming. Visit the amazing facts media library at AFTV.org. At AFTV.org, you can enjoy video and audio presentations, as well as printed material all free of charge 24 hours a day, 7 days a week right from your computer or mobile device. Visit AFTV.org. 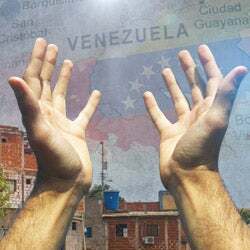 Announcer: Would you like to know God's plan for our broken world as revealed in Bible prophecy? Once practical trusted solutions for your biggest challenges, freshly updated and redesigned. Amazing Facts Bible study guides provide 27 Bible-based topical lessons with beautiful graphics and straightforward answers that are enlightening, encouraging, and easy to understand. Each study guide leads you toward real relevant Bible answers for the most important questions in your life. How can I have healthier relationships? When and how will Jesus come again? And so much more. Don't leave your future to chance. Transform your life with truths from the Amazing Facts Bible study guides. Prefer to watch while you read? Our brand-new prophecy encounters DVD series make the perfect companion set. 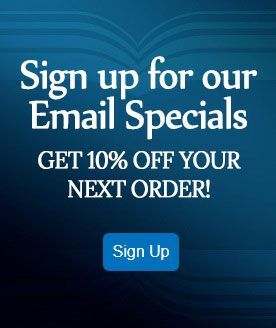 Don't wait, order your study guides and DVD set today by visiting afbookstore.com or by calling 800-538-7275. Announcer: This presentation was brought to you by the friends of the Amazing Facts Ministry. Can you explain Mark 12:36?